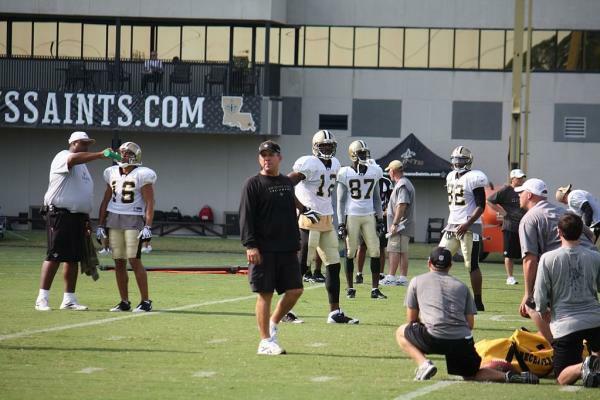 Were you lucky enough to get tickets to the SOLD OUT Saints Training Camp? We sure hope so! The event is FREE. However, fans of all ages must have a ticket to attend. Tickets are on a first come, first serve basis. They are SOLD OUT for 2018. Parking is FREE but based on availability. There is also public parking in lots close to the practice facility. Fan Fest Days: July 28, 29 Aug 4, 11, 12, & 19 7:30AM-10:30 AM Ticketed fans will get to participate in Saints and Pelicans themed experiences, concessions and Saints gear will be available for purchase. Select player autographs will be available following each practice. Fans are allowed to take photos but video recording is NOT allowed. Smoking is NOT allowed on the grounds. While you are in town attending training camp, make sure and check out Jefferson Parish! We pride ourselves on being a family-friendly destination, so there is lots to do with the kiddos! It will be hot outside, so head inside to Kenner Planetarium, Megadome Cinema & Space Science Complex. Visitors can see educational movies, laser light shows and experience scientific discovery with hands-on exhibits about weather, optical illusions, insects, even a real-life space shuttle! Or try out one of our many laser tag parks. Want to stay outside? Keep cool at Lafreniere Park’s Spray Pad or Bayou Segnette State Park’s Wave Pool! Experience swamp life up close and personal on a swamp tour! Eat like a local and try out one of our many delicious and award-winning restaurants! Or, take a trip on the Louisiana Oyster Trail. Looking for hotels near the Saints practice facility in Jefferson Parish? We’ve got accommodations ranging from value-priced to deluxe and just 10 minutes from downtown New Orleans! Cheer on our Saints and have a fun time while visiting Jefferson Parish. Who Dat?